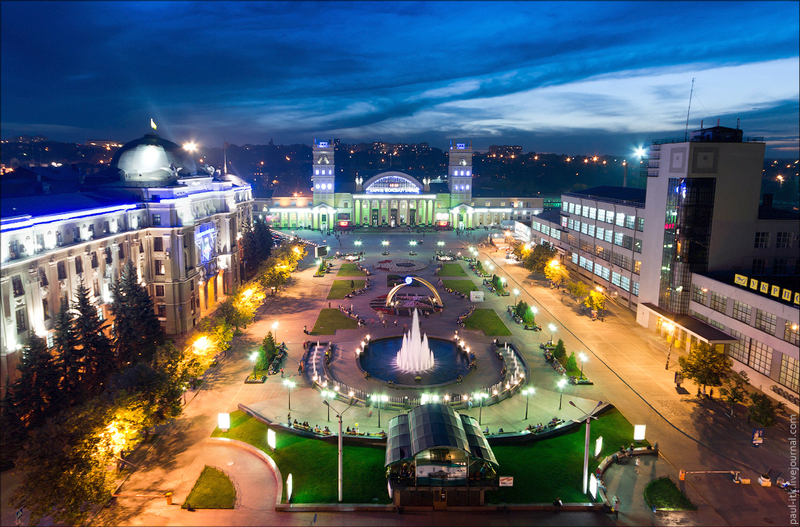 Kharkov is one of the largest cities of Ukraine, and also the regional center of Kharkov region. It was founded in 1654. The population makes about 1,5 million people (1446,5 thousand people on 01.01.2011). 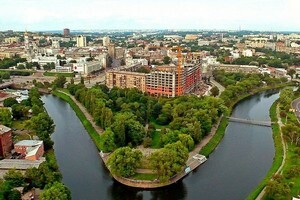 Kharkov is located in a northeast part of Ukraine on border of two landscape zones - forest-steppes and steppes - near a merge place of Lopan, Uda and Kharkov rivers. Its territory forms a hilly plain - more than half of the city’s total area is located on areas which height is about 100 m above sea level. 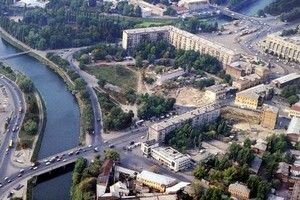 Kharkov rivers and their inflows are small and not navigable. Kharkov has stretched from the north to the south for 24 km, from the east to the west for 25 km, occupying the territory of about 306 sq. km. It has more than 2,5 thousand prospectuses, streets, lanes and squares. Kharkov climate is moderate-continental. The weather is quite changeable in winter: frosts alternate with thaws. Mid-annual temperature is +7,5 ºС. The coldest month is January:-7 ºС, but it can also be -15 and even-30 ºС. Summer is hot, the warmest month - July, the average temperature is +21 ºС. The majority of precipitations fall out in June and July, but, despite this, it’s very comfortable here in summer: beautiful parks, squares, fountains and many summer cafes. The modern city is divided into 9 administrative districts: Dzerzhinsky, Octyabrsky, Kievsky, Kominternovsky, Leninsky, Moskovsky, Ordzhonikidzevsky, Frunzensky, Chervonozavodsky. Different parts of the city, basically on suburbs, have preserved also historical informal names (for example, Alekseyevka, Pavlovo Pole, Pomerki, Sokolniki, Saltovka, Zhuravlevka, Ivanovka, Goncharovka, Lysaya Gora, Kholodnaya Gora, etc.). Due to the comfortable geographic location Kharkiv has been developing its economy and transport communications’ system during many centuries. Today Kharkiv is a very major transport junction: important track lines and highways lead to Donbas, Crimea, Caucasus to the ports of Black, Azov and Baltic seas, to many large industrial centers situated beyond Ukraine. Such highways as M-03 (Kiev – Kharkiv – Dolzhansky), M-26 (Kharkiv – Simferopol – Sevestopol), M-27 (Kharkiv – Shherbakovka) pass through Kharkiv. Kharkiv is a large industrial city of Ukraine. Enterprises of high-tech branches such as power engineering industry, electrotechnical industry, transport and agricultural manufacturing, instrument-making industry, radio electronics, aerospace industry are the bases of the industrial potential. 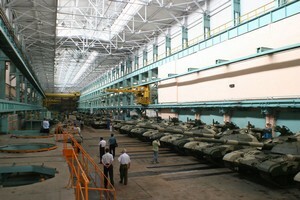 The production of many Kharkiv enterprises, including modern tanks, airplanes and turbines, is known at the international market. Kharkiv takes the second place in scientific and educational potential in Ukraine. The annual average amount of grounded specialists counts more than 33 thousand that ensures a high qualification level of the region working resources. Exactly in Kharkiv there was split an atom for the first time in Europe, discovered the nature of superconductivity, created the largest radio telescope, developed the bases of the prism vibration theory and procedures of dispersion of slow neutron in the crystals. Many scientific schools have been established here. The works of L. Landau, N. Barabashov, A. Volter, A. Palladin have won the international recognition. Kharkiv is the city rich for cultural traditions. It has 6 large theaters working: opera and ballet academic theater of N. Lusenko, Ukrainian academic drama theater of T. Shevchenko, Russian academic drama theater of A.S. Pushkin, musical comedy theater, theater for children and youth, puppet show. Moreover, there are many theater groups, drama schools and amateur theaters. 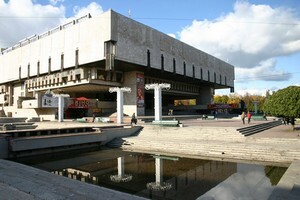 Kharkiv can boast of a big number of museums and cinema and concert halls (including organ and chamber music hall). A lot of libraries work in the city. The funds of the National scientific library of V.G. Korolenko number more than 6,5 million books and publications, among which there are rare and unique. Kharkiv regional philharmonic holds a big concerts’ organizational work and the propaganda of the music art. The circus, zoo and dolphinarium are very popular among the citizens and city guests. Kharkiv is the sports city. There are all conditions here for going in for sports and raising the future masters and champions. 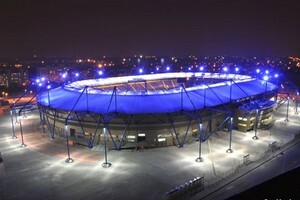 Here work 19 stadiums, 850 sports grounds, 363 sports halls, 19 swimming pools, more than 40 tennis courts, a golf club. “Metallist” football team and “Lokomotiv” volleyball team are the pride of Kharkiv. The names of many Kharkiv citizens are written in the history of the international sport forever. These are twice Olympic champions Rustam Sharipov (sports gymnastics), Lydmila Djigalova (track and field athletics), Yurij Poyarkov (volleyball), Olympic champions Maria Gorohovskaya (sports gymnastics), Igor Rybak (weight lifting), Vasiliy Matushevich, Yuriy Vengerovskiy (volleyball), Aleksey Barkalov (water polo), Igor Zelovalnikov, Vladimir Movchan (cycle racing), Yana Klochkova (swimming). Ukrainian and Russian cultures are equally native to Kharkiv citizens. It established historically: more than 3 centuries ago these lands were inhabited by settlers from Russia and Right-bank Ukraine. The national language in the country is Ukrainian, but Russian also considers to be a native language, that’s why they are used equally in everyday life. Kharkiv is a multinational city: since olden days here have been living Ukrainians and Russians, Poles and Jews, Germans and Armenians, Bulgarians and Tatars, Byelorussians and Greeks, Gypsies and Letts, representatives of other European and Asian nations. Today there are 50 national-cultural formations, working catholic and protestant churches, synagogue, mosque, meetinghouses of the other religious confessions, 15 schools with advanced learning of national cultures. During all the history of Kharkiv there hasn’t been any major conflict between the citizens on national, race or religious grounds. The citizens are determined by the traditional hospitality towards guests wherever they come. Having come here, you will find sincere and warm welcome for sure, you’ll see the city that will impress you by the variety of its architecture styles, traditions and ideas and just will spend a good time.